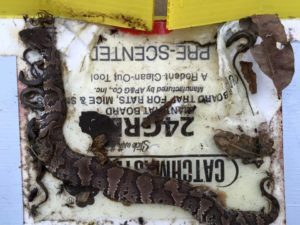 What should I do if I see a nest of snakes? The snakes that are in your property are not risk to your household or pets, however there are some steps that you need to keep in mind to secure your property against these serpents. Getting rid of them is a must, but you must not try this without enough knowledge. If you know nothing to start with, there are some important things that you must keep in mind. To get rid of the snake and drive it off your property, you must look for the nest and then ruin it. You should start checking the place around to see if they have nested in your place. Usually, they will prefer to stay in a hidden part of the property like the piles of wood and shrubs, holes, under the porch to name some. Even if there are no animals on the ground, you still need to check because the snake might just go out. If you want to successfully get rid of the snakes in your yard, be sure that your wastes are disposed of properly. Do you know that the garbage is one of the perfect nesting place for the snakes and other wildlife animals? To get rid of them, be sure that there are no wastes around your property. A clean backyard is not a possible nesting ground for any wildlife animal including snakes. If you will just keep your yard clean all the time and make sure that there are no debris there like tree branches, piles of the woods, dry leaves and others, you can be sure that there are no invaders around. You must also keep the grass well-trimmed all the time. They love to stay in tall grasses, they use it as their hiding place along with some creatures like the crickets or mice which serve as their primary food. Do you know that the rattlesnakes love to stay in the lawn? To make sure that you will not have any uninvited guests like rattlesnakes, lawn weekly. Getting rid of the compost heaps can stop the snake from invading your property. You can also snake proof your yard by installing snake proof fencing. This is a better alternative to prevent them from coming over. Don’t panic if you happen to see a nest of snake in your property, because you can always call a wildlife expert for help. Aside from that, cleaning is a lifelong solution to snake problem, so this is easy to solve and there is nothing to be panicky about. The use of repellents will not be useful in repelling them. You must be cautious and not scatter the mothballs everywhere the property, you can bury them into the soil, but never leave them on the ground. They are toxic and may kill some home pets, you must be a responsible citizen and not to use poisonous substances without a care.